Looking at an acorn, this beautiful but small round shape, no one would guess it will one day become a majestic, towering tree. 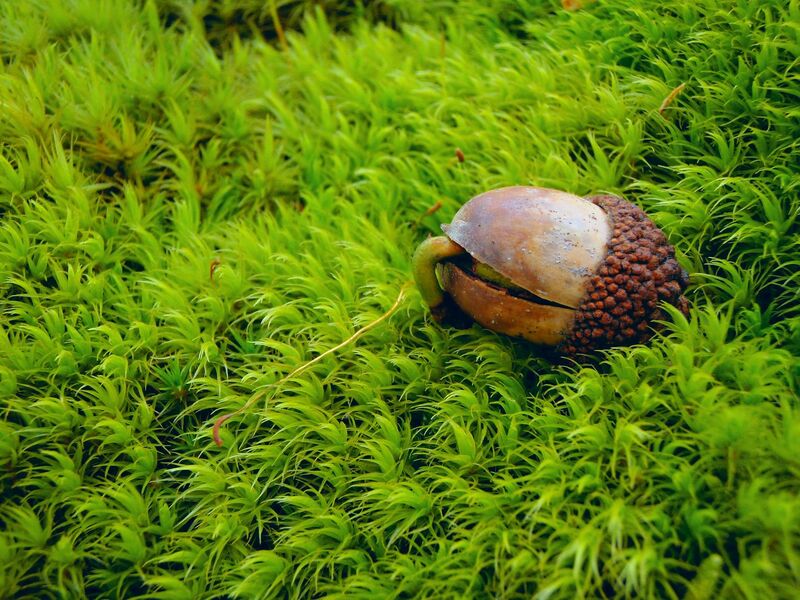 The oak tree is the potential of this acorn. Of course, by itself it will not develop. It needs the right conditions, at the right time, and this, through a living whole. In the same way, on a larger scale, humans are called to become what our ancestors and even we cannot foresee as we do not know what a human with all his potentialities expressed would be like. But we can nevertheless surmise that to develop all these potentialities, we need to understand and reintegrate this living whole. This fundamental holism, Carl Gustav Jung has seen it in the collective unconscious and its archetypes. Quantum physicist David Bohm in what he named the implicate order which sustains, guides and organizes energy.Not surprisingly also, as it is in all of us, perennial traditions intuitively expressed it through their myths, legends and even used it efficiently in their medical systems. Most importantly, it is consequently expressed through the brain, an obvious fractal aspect of it. This brain being also an observable physical object, a consensus becomes possible as to the model at its origin. Putting these together, Ariane Page in her book Isis Code describes this ultimate model as the LIFE biosystem (Law Inherent to the Five Elements). This is the code of life from and on which each and every one of us unfolds. To know and understand it becomes therefore the key to understand what, why, how and who we are. The book uses an Ancient Egyptian legend and the Five Books of Moses as well as hundreds of recent results from brain research to bring this code into broad light. It builds itself on this legend from Ancient Egypt which tells us of the god Osiris being murdered and dismembered by his own brother. Isis, his soul mate, immediately embarking on a quest to find and rejoin all of his scattered pieces, vows to bring him back to life. Page shows how, similarly, through our quest for love and happiness, our inner Isis attempts to reconnect, harmonize and blow life into our different levels of human expression so we can truly be. Isis Code invites the reader to embark on a self-discovery journey through the Reptilian, Mammalian, Human, Analytical and Universal aspects of the human brain- by analogy our physical, emotional, rational and social aspects- to reveal the complete image of the Self. It highlights how the limited point of view we impose on ourselves impacts our perceptions, feelings, health, relationships, everything we create, the quality of our environment, and even our governmental structures. By combining systems science and the study of the brain, Isis Code provides also insight into the direction evolution is now taking to allow humanity to reach its potential. It is a tool that can allow us better control over our destiny, peace to our hearts and freedom from the dark box our immaturity has unwittingly locked us in.